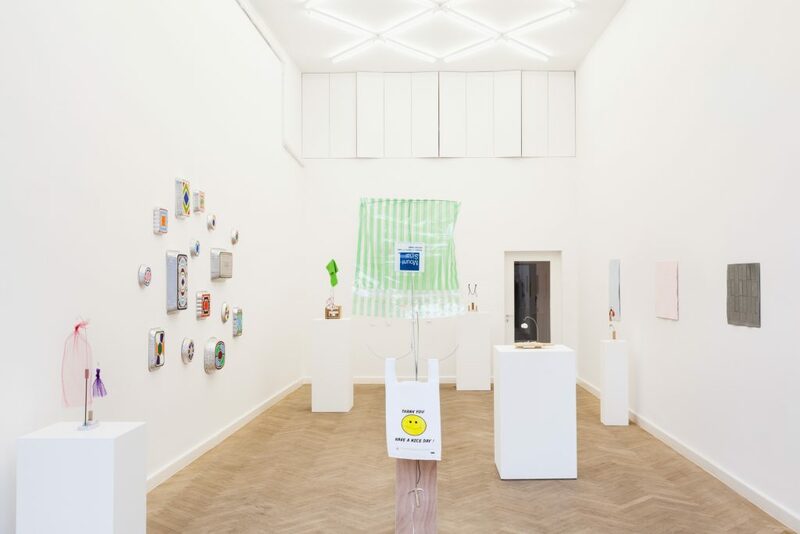 Office Baroque is pleased to announce the first solo exhibition in Belgium of New York based artist B. Wurtz. 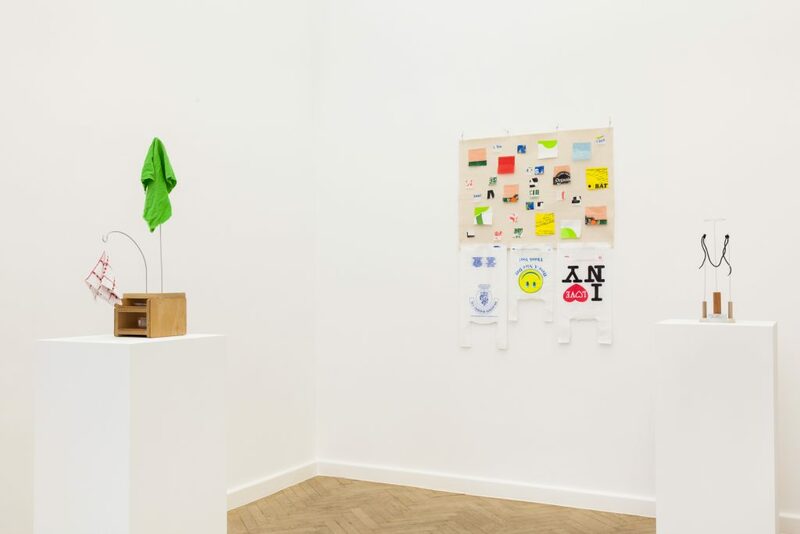 Since the 1970’s B. Wurtz has collected and repurposed commonplace found objects such as socks, plastic bags, shoelaces and mesh bags, alongside more traditional art materials as wood and marble, making low materials into icons of ordinariness through these juxtapositions. 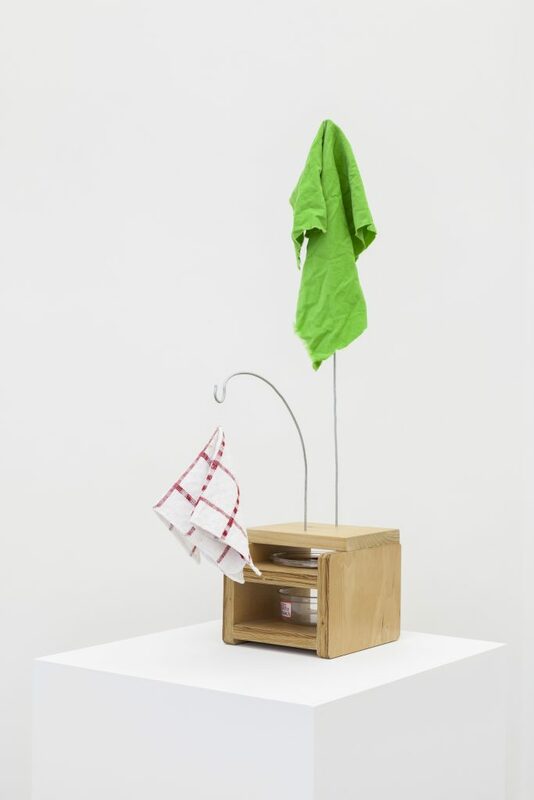 A 1973 drawing entitled Three Important Things which states “sleeping, eating and keeping warm”, set the parameters for the materials Wurtz would go on to use in his aesthetic investigation of the mundane. His work channels the possibilities of everyday materials, never allowing the viewer to lose sight of what they are made from and how they are put together, providing evidence of both their formal quality and their function. 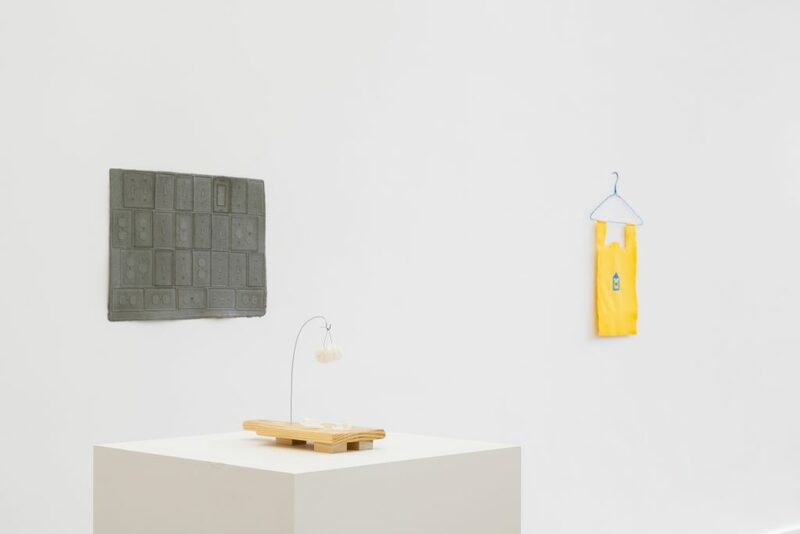 He humbly seeks to distmantle the conventions of plastic discipline and finds order in things that are otherwise society’s jetsam. 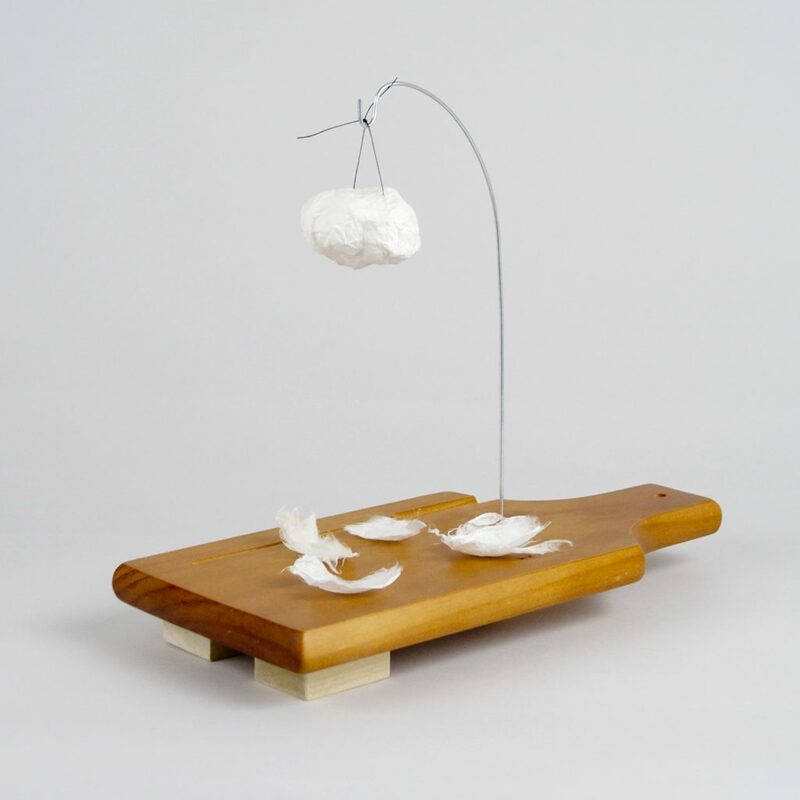 His sculptures recall the understated language of the objet trouvé, but with distinctive profundity and wit. Among the works on view will be new works from a series referred to as “pan paintings”. These wall works are made from aluminum food containers and roasting pans that pass through every home. 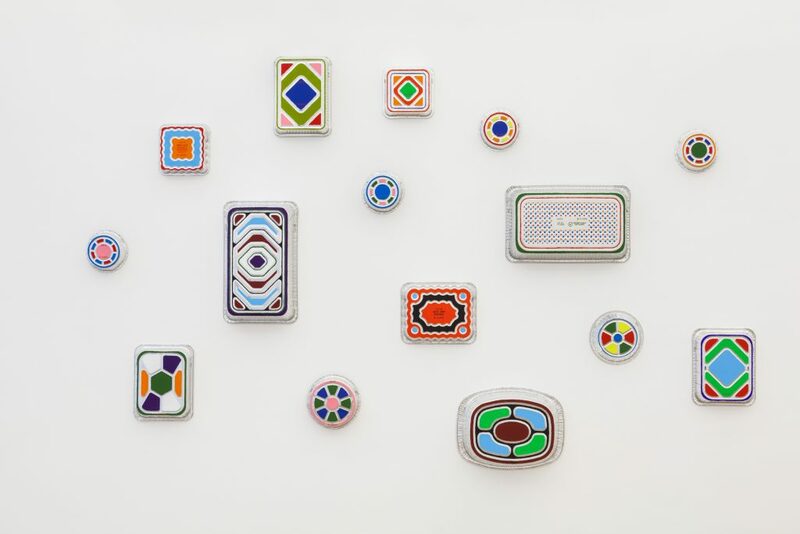 By painting over the patterns and texts on the exterior of the pans with various colors of acrylic paint, Wurtz transforms these disposable pans into something valuable. 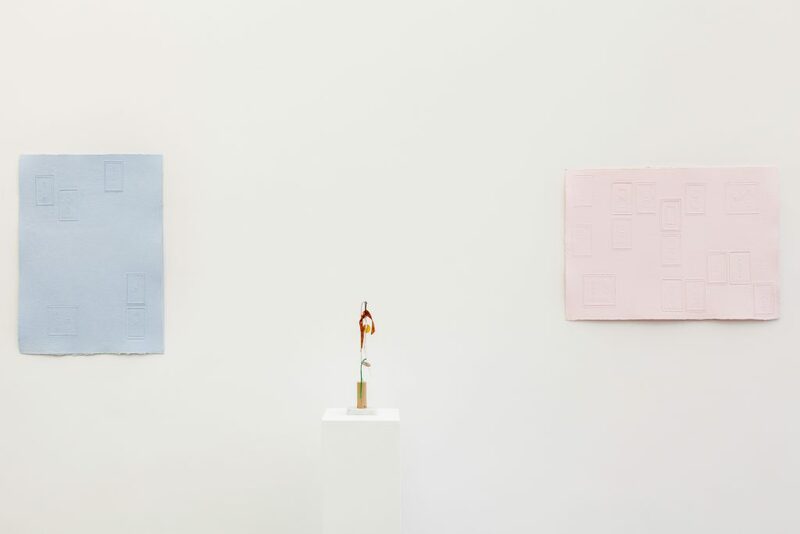 Wurtz additionally created a group of works in handmade paper during his Lab Grant Program residency at Dieu Donné in New York. Office Baroque, Brussels, 2016. Courtesy of Office Baroque. 73,7 × 40,6 cm. Courtesy of Office Baroque. 26,7 × 33 × 14 cm. Courtesy of Office Baroque.